Earn 70 Gold Points in My Nintendo! 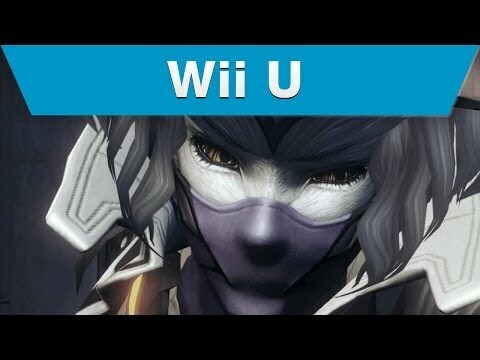 The next massive sci-fi role-playing game from Monolith Soft, the creators of Baten Kaitos and Xenoblade Chronicles, comes exclusively to Wii U. A terrible intergalactic war leaves just a handful of Earth survivors trying to live in a beautiful yet hostile environment. Players engage in battles against powerful creatures of all forms and sizes using the deep battle system that builds on the triumphs of Xenoblade Chronicles for Wii. Riding and controlling a weaponized mech, players can explore every inch of the massive open world displayed in gorgeous high-definition graphics. The world is filled with strange and imaginative creatures, from small bugs to giant dinosaurs. As characters improve in different classes, they will learn new combat and defensive skills, or Arts. Players can customize the Arts palette as their characters learn new Arts. All Arts have a “recast" time – once cast, the player must wait out a “cooldown" period before that Art can be used again.